Brown chickpeas are power packed with nutrition. It’s widely used in so many Indian dishes. This particular curry is a peasant dish which is specially made for breakfast. 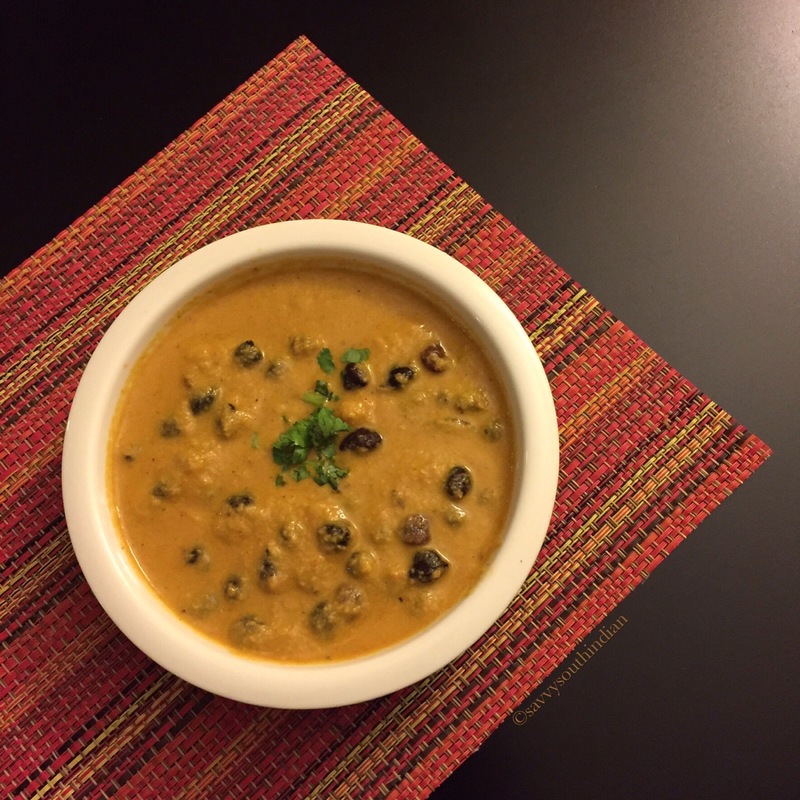 It is so versatile, easy to make and tastes so hearty and delicious! Brown chickpeas are slightly smaller than the white ones, it is fiber rich and nuttier in taste. We consider this as our eggs since it is so high in protein. These dried chickpeas are inexpensive because it needs to be soaked and takes longer time to cook. This is a humble dish prepared by farmers with simple ingredients they have in their farm. They start their day with this hearty dish to keep them energized for the hard labor ahead. It is still a preferred breakfast for many of us. We serve them with steamed rice cakes or rice noodles or with bread. 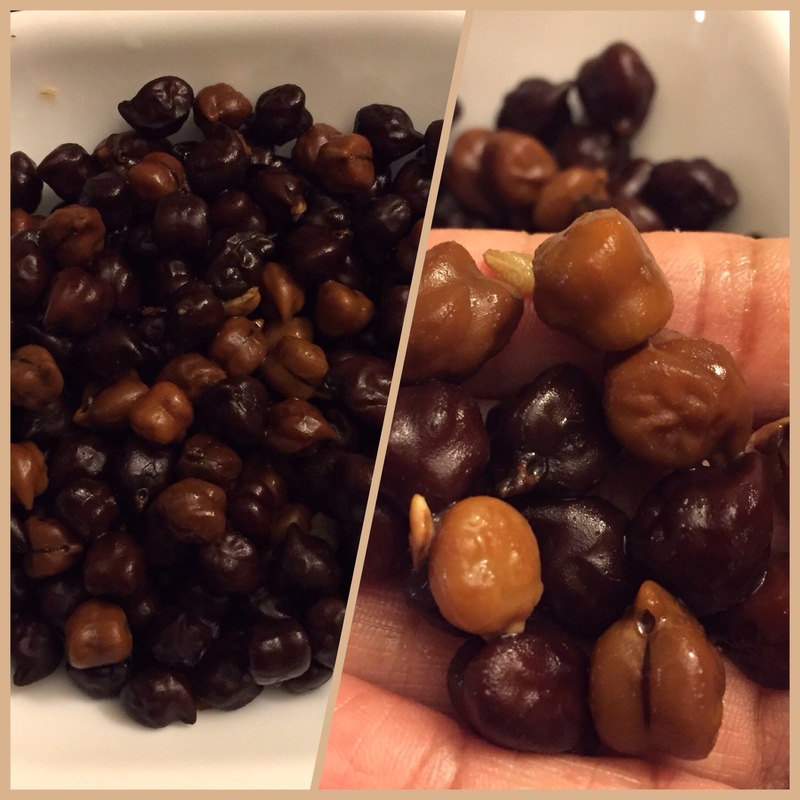 Soak dried brown chickpeas overnight in lots of water. Do not add salt while its cooking, it takes longer time to cook. you can also pressure cook it to speed up the process. I cook a big batch, let them cool, pat them dry with a towel, put them in zip lock bags and store them in the freezer. It’s readily available whenever you need them, doesn’t this make your life easy? Heat oil in a pan, add the spices, toast it nicely. Add the diced onions and sauté it until it’s soft. Now add the chopped tomatoes and sauté them until it’s mushy. Add, chili powder, chopped garlic, ginger and green chilli, sauté them for a second. Once it’s slightly cool, put the mix in a blender and grind it into a smooth paste. This is the tangy base we use for all our aromatic curries. We like our curry spicy so I added green chilies since the onions and the coconut gives a sweet note and makes it really mild. But it is optional. 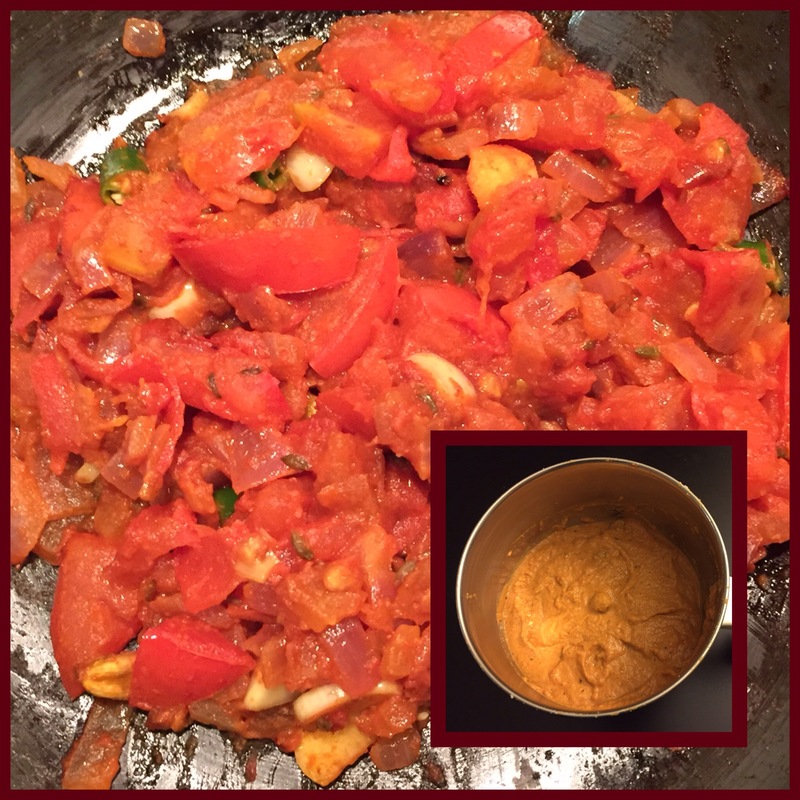 This paste is particularly used to thicken the curry. * You can also use 2 tablespoons of thick full fat coconut milk or cream. Put the coconut and cashews in a blender, add 1/4 cup of warm water and blend it into a smooth paste. In the original recipe farmers used only poppy seeds (khas – khas) instead of expensive cashews. 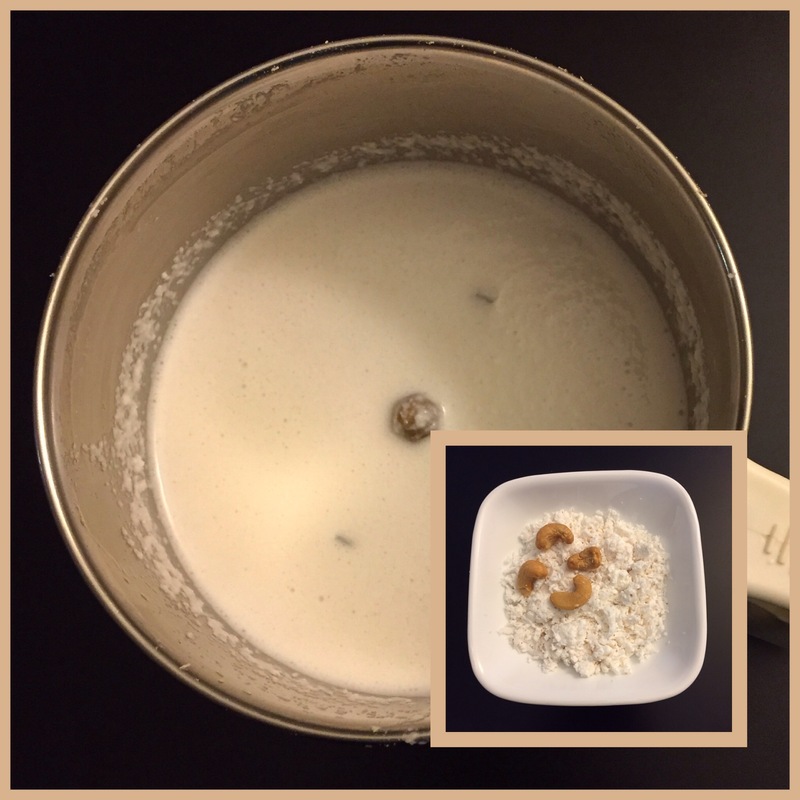 I used cashews because it gives a unique aroma and a creamy taste. You can also substitute it with roasted almonds. I use freshly sliced coconut or grated coconut, frozen or unsweetened desiccated coconut are good too. Heat oil, add the bay leaves and star anise, quickly toast it. Now add the brown chickpeas and the red paste and mix it nicely. cover it with a lid and let it come to a boil. This helps the chickpeas absorb the salt it needs. Now add the white paste, mix it well. Keep the flame in low and let it simmer for just a couple of minutes. It’s like adding cream as a finishing touch. This just helps the curry thicken up. 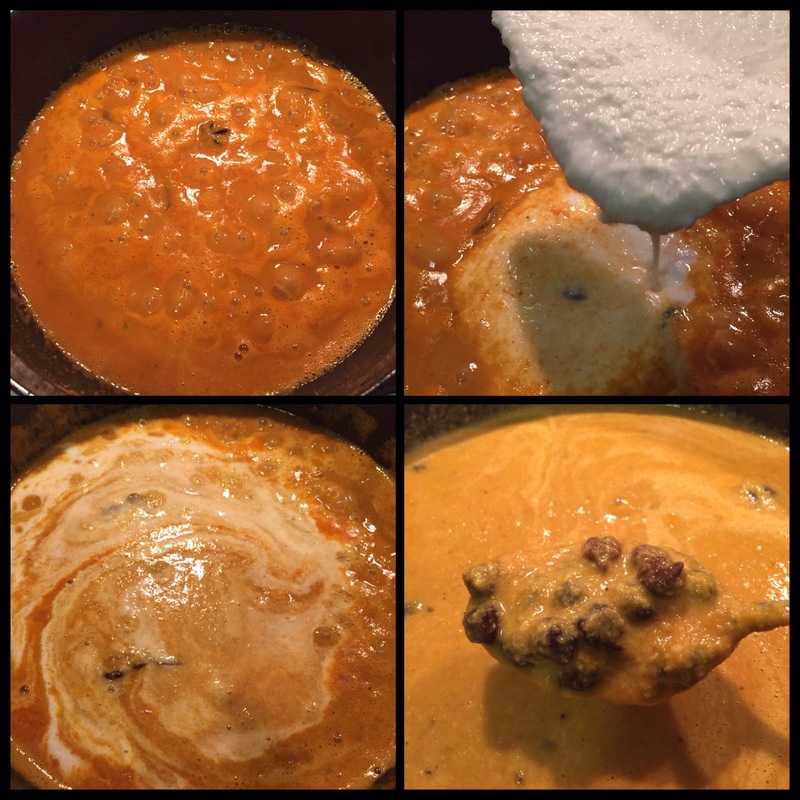 * Keep in mind, never let it boil after you add the coconut paste, the fat separates from the coconut and completely changes the taste of the curry. Now the curry is ready garnish it with a little cilantro. Look at this mouthwatering curry! Oh my! This is such a creamy, tangy, spicy and aromatic curry! Yum! It is unbelievably delicious. Sometimes I like to change things up and eat it with buttery toasted bread! 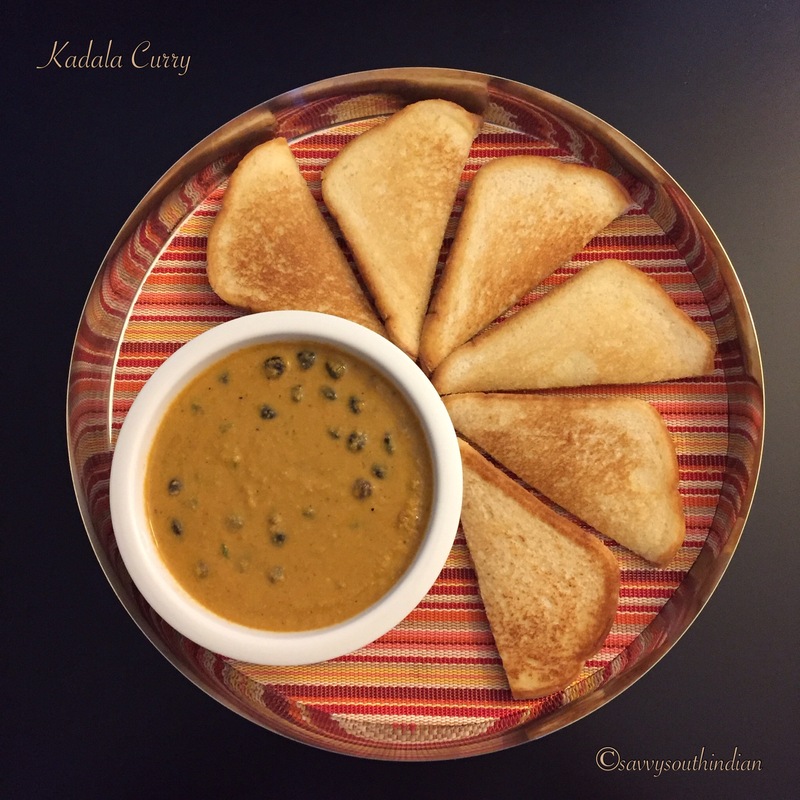 Mmm…it tastes so good if you dip the crunchy bread in the creamy curry! 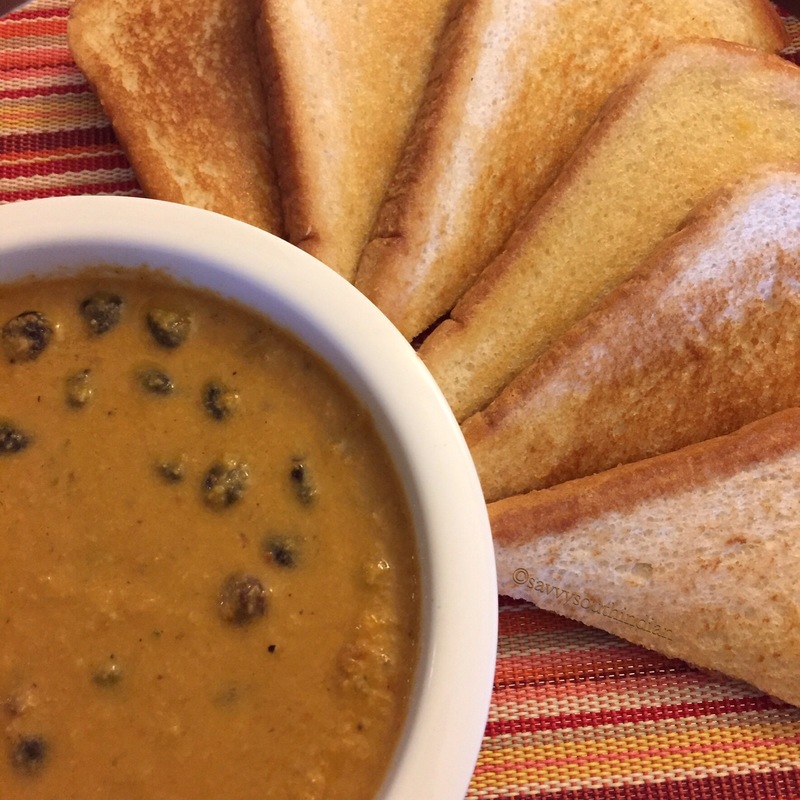 It is such a satisfying breakfast, my husband and my kids are a big fan of this dish. 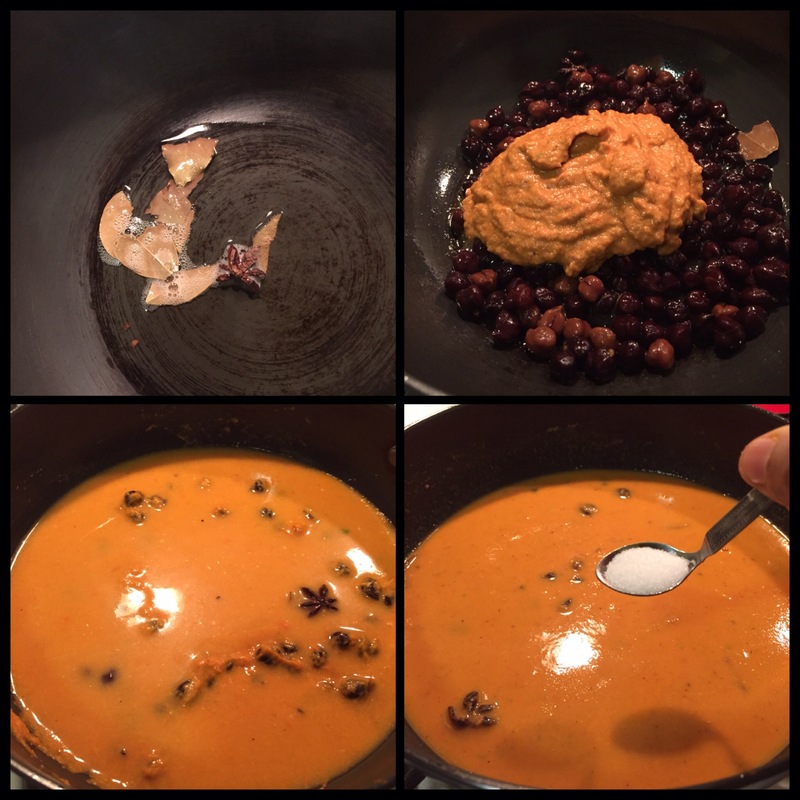 Since this curry is so versatile, I just use the same curry base and use other types of beans instead of chickpeas. sometimes I even add sprouted beans to make it hearty and healthy. This is a one pot wonder which can be used for breakfast, lunch and dinner because it can be served with any type of rice (ghee rice/pilaf) and flatbreads (roti/chapati) too. It tastes great whichever way you like to eat them. Enjoy ! Yes it is! 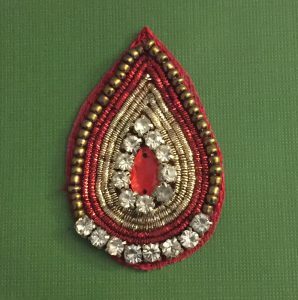 Thanks Megala! Beautiful share Latha. Love this with puttu! Now I know what to make for dinner 🙂 This looks amazing and the step-by-step instructions will help a lot. Love these kadalai any time and in any form. Awesome share Latha.